Recycling is a vital part of helping ensure that our world stays clean and free of excess trash and debris. 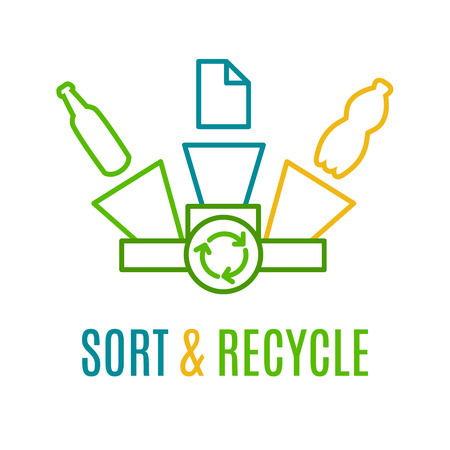 Everyone can do their part to help recycle, and it doesn’t just have to consist of aluminum soda cans or glass bottles. In fact, cardboard can also be recycled, and Americans go through several tons of this thick, brown board-like paper every year without even realizing it. As a good steward for the environment, you can do your part by recycling cardboard, which is an easy way to help out. There are two basic types of cardboard: flat and corrugated. Flat cardboard can be anything from cereal to macaroni and cheese boxes. Corrugated cardboard is usually much thicker, with a layer of folded cardboard in between, and is often used for packages. First, you’ll want to sort out your cardboard and separated by flat and corrugated. You will also want to be sure the type of cardboard you’re choosing is actually able to be recycled. Sometimes, waxed cardboard is not accepted, as well as some forms of the heavier, corrugated type. Check with your local recycling center and find out which forms of cardboard are able to be brought in for recycling. Most localities have their own recycling facilities; however this is not always the case. Sometimes, you may have to enlist the help of local businesses, and partner up with them in your cardboard recycling efforts. Since most large and small companies have an influx of cardboard coming in and out, they’d probably be glad to assist you with your own recycling. If not, you’ll want to find out where you can drop off the cardboard, or schedule someone to come by and pick it up. Some cities offer cardboard recycling as part of their overall programs, so call your city and find out more information. You may wonder what happens once you drop your cardboard off to the recycling center. First, the center will make sure it has been sorted properly. If not, it gets sorted before going on to the next step, which is heading to the mill, where it begins a pulping process. This turns the cardboard into a mushy substance. Wood chips are sometimes added to give it more structure. This new mixture is used for linerboard, which is the interior structure of cardboard. The linerboards are glued together, forming layer after layer of paper until a new piece of cardboard is formed. Then, the cardboard is shaped and printed for use with other things. These newly recycled cardboard things can vary from packing boxes to frozen entrees. The cardboard that is taken to the recycling center can have a myriad of different uses once it’s been recycled. Packing boxes are very common, as well as food containers that you see in the grocery store. Other uses now include art and furniture, as more people are finding new ways to use this material. Some people keep cardboard boxes to serve as organizers in their homes, or even a reusable trashcan. Artists enjoy cardboard as well, since it is very easy to work with and is durable. Why on Earth wouldn’t we recycle?